How can permanent make-up change the way you look? Now you can stay always perfect with no need to retouch the make-up during the day. Permanent make-up looks more natural than conventional make-up. It’s important if you have an occupation where you feel better looking as if you are wearing light makeup all the time. 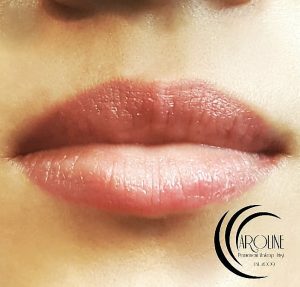 The aim of the treatment is to give a natural light make-up and the end results enhance your natural features and not necessarily look like topical make-up or unattractive tattoo. You want the convenience of waterproof make-up that will not smudge, or run especially when you have an occupation where you often perspire, requiring you to re-apply makeup often. Thanks to my advanced 3D techniques and the best equipment on the market you can enjoy all the benefits from permanent make-up that will look completely natural. Adding three-dimensional hair strokes to your eyebrows will create a realistic illusion of your own hairs. My permanent make-up looks so natural that my customers wished they had had it done long time ago. Take your time to explain what you would like and expect from the treatment and ask questions. I will talk to you and realistically explain and show, with many real photos, what can be done. Have realistic expectations and a good idea of your expectations. The procedure will be explained. The Patch Test will be performed for allergies at least 24 hours before the treatment. Wear your normal make-up and bring your lip or brow pencils as it will give me an idea of your prefered look. You will be adviced the best colour and the best shape for you. Shaping stage is crucial and therefore I spend most of the time to create the look that you will love. I take into consideration your facial features and face shape and discuss with you your preferences regarding shape. Measurements are then taken to ensure symmetry and balance of the face. 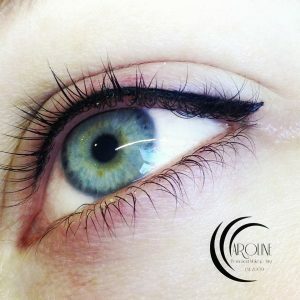 Using brow pencils, eyeliner and lip liner pencils I will then enhance or create a look which is unique for you, this will allow you to visualize how the permanent make-up will look and ensures the finished result is exactly what you want. I always seek for a natural look. Only when you are completely satisfied with the design it will be used as the template for your procedure. I will ask you to fill out some standard forms. A series of photographs are taken before the procedure takes place. I draw with a pencil make-up the part of your face to be treated, this is necessary to give you an idea of the outcome result. I may plack some eyebrow hairs that are outside the recommended shape if you approve one. I never shave off the eyebrows. I never remove all of the eyebrows` hairs completely. You acknowledge color/pigment/ shape selection for the permanent make-up treatment. Anaesthetic gel is applied throughout the procedure delivering maximum comfort at all times. The selected pigments are implanted into the skin by tiny needles using the equipment with respect to the safety and hygiene rules. Aftercare will be explained and you will be issued with written aftercare instructions to take home. You will receive an aftercare product to take home with you. After the procedure, a series of photographs are taken and the client can now view their before and after photos to see the difference permanent cosmetics has made for them. You may be required to come back for one touch-up visit before it can be determined that your work is complete. Touch-up visits are scheduled after four weeks. Be prepared for the colour intensity of your procedure to be significantly larger, sharper, brighter and darker for the first few days, than what is expected for the final outcome. It will take time for this transition, based on how quickly the outer layer of your skin exfoliates. Since delicate skin or sensitive areas may swell slightly or redden, some clients feel it best not to make any social plans for a day following any procedure. Q: What is semi-permanent make-up? A: Semi-permanent make-up also called permanent make-up or pigmentation is a type of cosmetic tattooing mainly used to enhance eyes, brows and lips. Q: Is semi-permanent make-up and permanent make-up the same thing? A: Yes, both terms are used to describe cosmetic tattooing or pigmentation. There is often a misconception that these terms describe two different treatments. To be precise all Permanent Make-up treatments give results that are semi-permanent, which means the length of its longevity can differ but they all fade over time. Q: What does the treatment involve? A: The treatment involves the consultation which simply is a discussion of your expectations and requirements. The technician discusses available options for you individually and explains the treatment process, effects, aftercare etc. You receive a patch test and medical history is checked for suitability for a treatment. Actual treatment starts with pencilling the permanent make-up template/design. The treatment itself involves gently depositing pigment particles into the first layer of skin, the epidermis with a use of a pen-like device that contains an ultra-fine acupuncture-size surgical steel needle. The needle draws precise lines on the skin using a special technique developed for medical and beauty purposes. Q: Does it look natural? A: Yes, if you request the natural look the healed result will look very natural and subtle. The effects available can range from a natural enhancement to the imitation of make-up. Therefore consultation is crucial to discuss your own preferences and individual style. Q: How long will it last? A: Permanent Make-up lasts anywhere from 1-5 years more or less depending on the individual’s skin type and regeneration and environmental factors. For instance, sun exposure can cause pigment fading, but this can be prevented with proper protection. 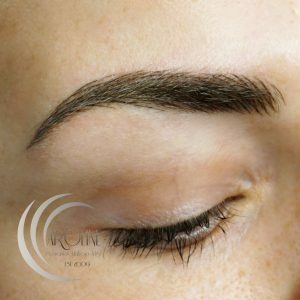 Permanent Make-up can be touched up to refresh the design, reshaped, replaced with different colours or left to fade until it no longer exists. Refresher colour boosts are recommended for maintenance. Q: Can I have the treatment if I have medical issues? A: You will be asked to fill in a medical history questionnaire before the treatment. There are some conditions when people are not suitable for permanent make-up due to medical issues but this is very uncommon. Q: Are there any risks involved? A: We adhere to the highest standards of health and safety and hygiene. However, because the treatment involves implanting pigment into the skin with a needle, a risk may include allergic reaction, infection or scarring if proper aftercare is not followed after the treatment. Q: Can I drink alcohol before my treatment? A: It is advised that you do not drink alcohol the night before, or on the day of, your treatment. Alcohol intake to close to the treatment process may affect pigment retention and give poorer results. Q: Is Permanent Make-up safe? A: Absolutely! Our Long-Time-Liner pigmentation colours and pigmentation device used for application are medically regulated, tested and approved by European Standards ISO13485. Our pigment colours are allergy tested, antiseptic, inorganic, of mineral origin and MRI exam safe. Q: How is the desired look; the shape and colour of eyebrows, eyeliner, or lips determined? A: Technician will recommend the best colour and shape to compliment each individual’s features in accordance with their desired outcome. Before the procedure, the technician will conduct a preliminary drawing of your Permanent Make-up using the matching coloured make-up pencil. If the customer is completely satisfied with the pre-drawing, the procedure will take place. During the Initial Touch Up, 30 days – 3 months after the procedure, the technician will perfect the procedure in shape and colour. Q: Is there any discomfort or pain during the Procedure? A: Minimal discomfort may be felt during the procedure. Most individuals experience a slight scratching sensation with limited to no discomfort. The specialist equipment that we use is quiet and gentle. An anaesthetic gel and disinfectant solution with a numbing agent are used before and during the procedure to provide relief from any discomfort. Many clients comment that the treatment is no more painful than having their eyebrows tweezed. Q: How long will the Procedure take? A: Treatment times vary depending on how advanced or detailed the required result is. Although some treatments may take as little as 1 hour, you should reserve 2-3 hours for your appointment. Follow Up Procedure usually takes 30- 60 minutes. Q: What will I look like immediately after the treatment? A: Brows and eye treatments tend to look darker in colour immediately after the initial procedure, while lip colours look more intense and vibrant. The effect softens in a few days after healing. There may be some slight swelling after eyeliner and lip treatments. Q: Can I wear make-up after the treatment? A: You should wait until the treatment area has healed before wearing traditional make-up cosmetics. Q: How do I look after the treatment when it’s healing? A: We will provide you with aftercare instructions and a special aftercare cream for after your treatment. 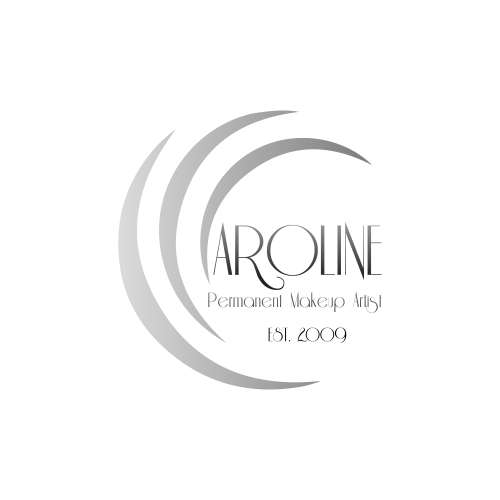 Looking after your permanent cosmetics as it heals is not difficult or time-consuming. Q: How quickly the pigmented area will heal? A: Everyone is individual, but usually the surface skin generally heals between 4-7 days after the treatment and 10-14 days below the surface. Q: Will I need to take time off work after my treatment? A: Some people think that they may have to take time off work after the treatment, in fact, this is not the case unless you choose to do so. You should be able to get straight back to work immediately after your treatment. 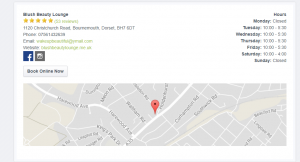 Q: Can I have anti-ageing injections or cosmetic surgery after my treatment? A: This depends on the treatment you are considering and its location. You will need to take advice from your therapist or surgeon. It is important to remember that some of these procedures can alter the shape of your lips and eyebrows. Q: Can I have an MRI scan after my treatment? A: If you have an MRI scan after having permanent make-up, you should inform the MRI practitioner before the scan about your treatment, and its location. This should not prevent you from being able to have an MRI scan. Q: Can I have laser hair removal after my treatment? A: Laser hair removal can fade and change the colour of your lip and brow treatment if you are having the hair removal in that area. You should inform your laser technician of your permanent make-up before the treatment. Q: Is there anything I will need to avoid after my treatment? A: We recommend that you do not apply make-up, expose the skin to sun or water, apply petroleum-based ointments immediately after your treatment. 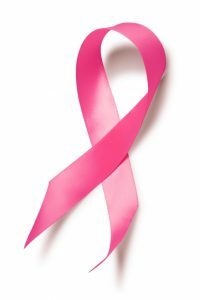 We will explain these requirements before and during treatment and provide you a printed version of aftercare advice. Q: Can I go on holiday to a sunny place after my treatment? A: Strong sun can have an impact on the result of the healing and after healing phase. We recommend that you leave 4 weeks between your final re-touch procedure and your holiday.